Obviously, this twitter user has set up some kind of automated system to find highly viewed tweets (my last post before that was one about missing my dad on my birthday) and then just tag the users involved and add their automated generic message... I'm sure usually this kind of spam approach may potentially give them some exposure, although personally I would argue such an approach would not normally condore up positive emotions or thoughts but thats another point, this one for me and given the context of tagging @jezzieann and @grahamemaher at the same time and in the context of such a message was insensitive, rude and a little hurtful for me in this case especially. 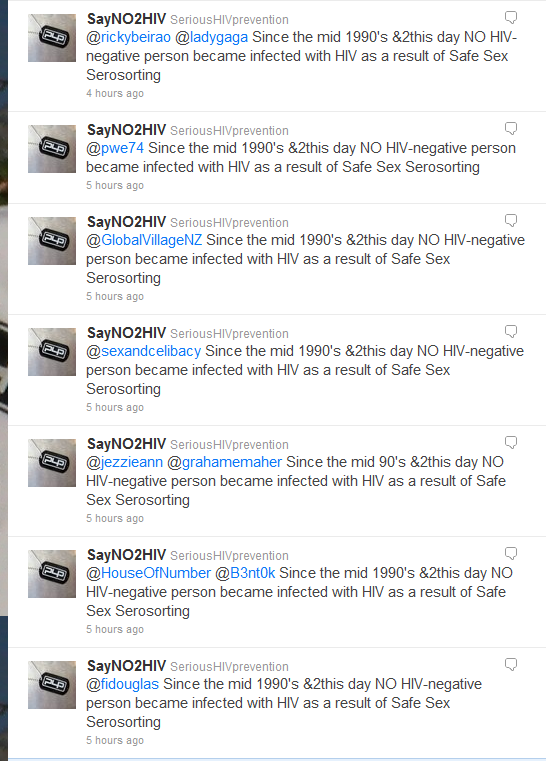 Not cool @SayNO2HIV I don't care how good a cause you may be or not, thats still not cool.